There are a whole load of terrible reviews of T5 Xtreme out there so we thought we’d put one out there with a little more substance behind it. Fat burners with T5 in their name must number in the hundreds. 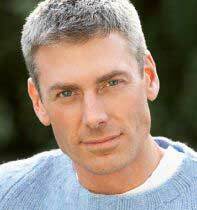 It’s an extremely popular designation and linked to the now controversial stimulant ephedrine. 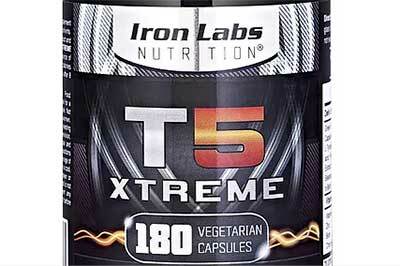 T5 Xtreme does not contain anything as extreme as ephedrine but the term nonetheless reminds people of the ECA stack days (Ephedrine – Caffeine – Aspirin) when sympathomimetic drugs, including clenbuterol, were all the rage in gyms and celebrity circles for losing weight. Iron Labs Nutrition don’t have a huge presence online; the website is pretty simple, but many of their sales are conducted through Amazon. Unfortunately, people reading that might think metabolism is simply the burning of calories, when it fact it is the entirety of the chemical reactions taking place in your body in order to keep you alive and healthy. 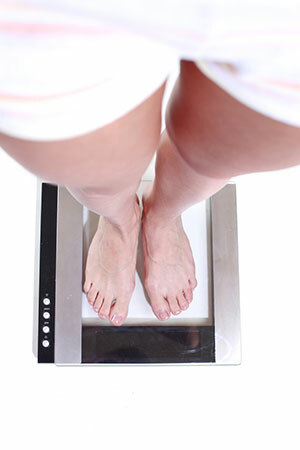 By increasing metabolism, the speed of these reactions will increase, therefore using more energy, which may have the effect of reducing body fat levels. Regardless of the scientific accuracy of the Iron Labs website content, the product itself contains a blend of ingredients in the capsules. The ingredients are certainly a sign of a promising product. 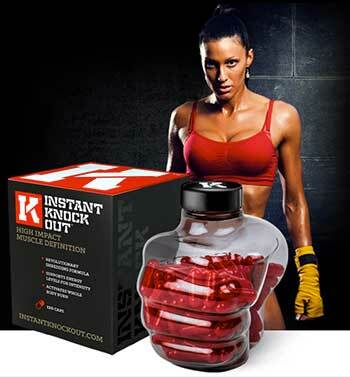 They are a collection of some of the most well-known and proven fat loss compounds available. The main problem from a prospective customer’s point of view is that there is no information at all concerning the included dosage of each ingredient. Even if there are no individual inclusion rates, then most manufacturers state the total weight of the formula. It is, in fact, mandatory. This fact alone tells us a lot about T5 Xtreme. Equivalencies are a weird thing to use in these cases. The Green Tea is described as being a 20:1 extract, giving about 600mg of active ingredient when you divide the 12000mg by 20. 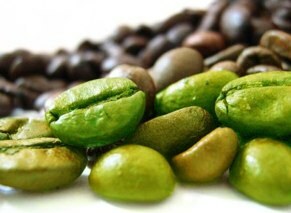 Similarly for the Green Coffee, the active amount would be more like 75 mg. If they’d actually put 1500mg of green coffee in the product, it might have a good effect. The Caffeine is a good dose. If you cut all other sources of caffeine and only use this then you will get a good stimulant kick. If you take the second dose of 3 capsules then you are approaching the max limit (500mg) of caffeine you should consume in a day. L-Carnitine is not a bad dose, especially if you take the daily max dose of 6 capsules (split into two servings. It mainly acts as a fat transporter, taking fatty acids to the mitochondria of cells to be used/burned as fuel. L-Tyrosine is a nootropic stimulant, allowing for better concentration and improved mood during times of physical stress. The dosage here is quite weak however, and we can’t be too sure it will do anything at all. The remainder of the ingredients are also dosed either low or are simply ineffective at burning fat. So, despite the website’s lack of detail, the bottle gives us the dosages, and the recipe actually starts out quite strong, before fizzling out. We’ll make more sense of all this in the conclusion section at the bottom. People sensitive to stimulants might experience some side effect from the caffeine. In particular, the first dose of the day might cause some nausea, dizziness and mild jitters. It all depends on how you react to caffeine. 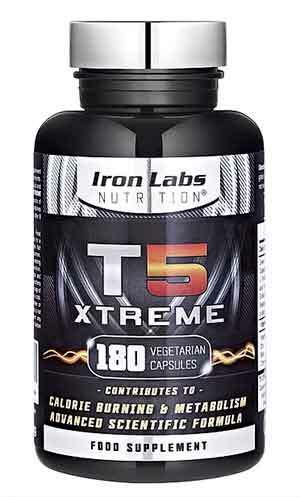 We would advise you cut down on coffee so that T5 Xtreme is your only source of stimulants. 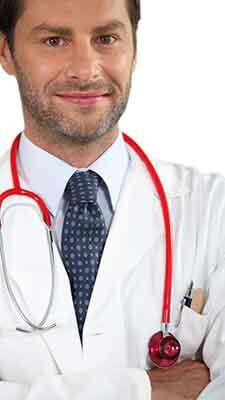 The other ingredients are not likely to cause an issue at the dosages they are included at. 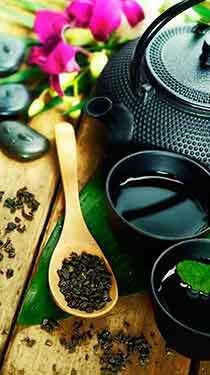 You might experience some stomach cramps due to the green tea and caffeine combination. Pregnant and breastfeeding women should avoid T5 Xtreme, and so should anyone taking prescribed medication or those with a medical condition. Consult your doctor if you are unsure. At £20 per bottle of 180 pills, the price is not bad and it is manufactured in the UK, meaning it has to conform to some level of quality assurance. The downside is that it is quite heavily dependent on a large dose of caffeine which may no agree with some people’s constitutions. What’s more, half the ingredients are either under-dosed or of little effect. That’s not usually a deal breaker, considering many fat burners have the same ingredient weight problem. The company website is on the simple side, the product is also sold on Amazon. 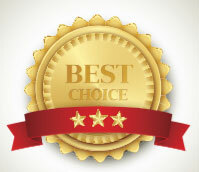 There customer ratings are quite high, until you realize that many amazon reviews are not legitimate and cannot generally be taken on face value. Despite looking like it comes from the same mould as many scammy third party amazon-sold fat burners, it actually makes a decent stab at a formula that does something for you at least. We won’t be adding it to the best-of list anytime soon though.